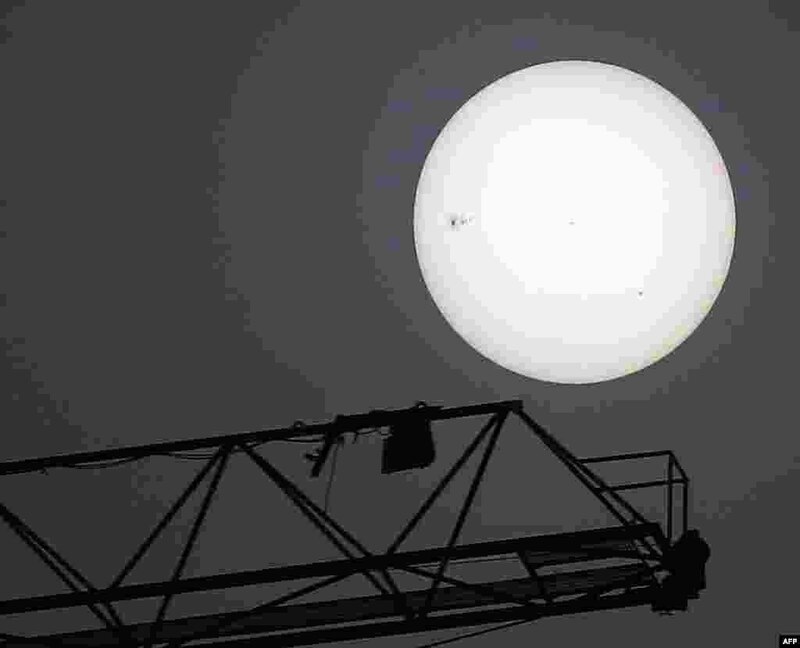 1 A crane in front of the sun as a sandstorm engulfs Kuwait City. 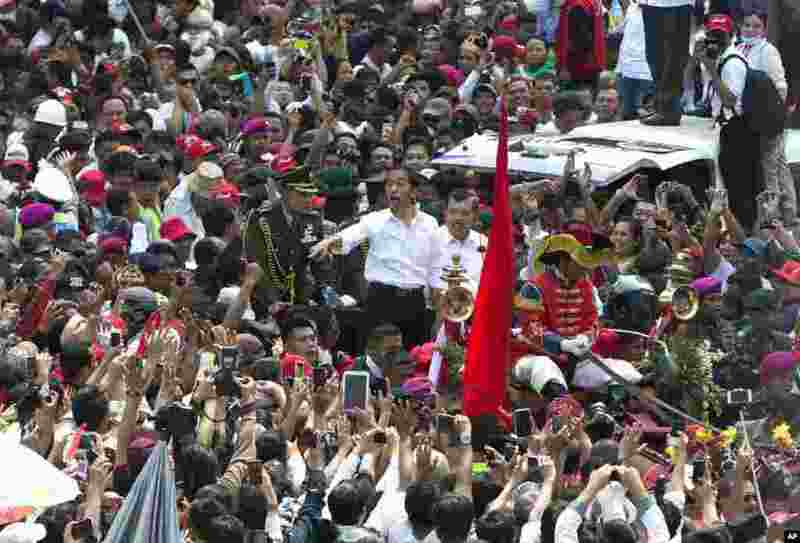 2 Indonesian President Joko Widodo gestures to the crowd during a street parade following his inauguration in Jakarta. 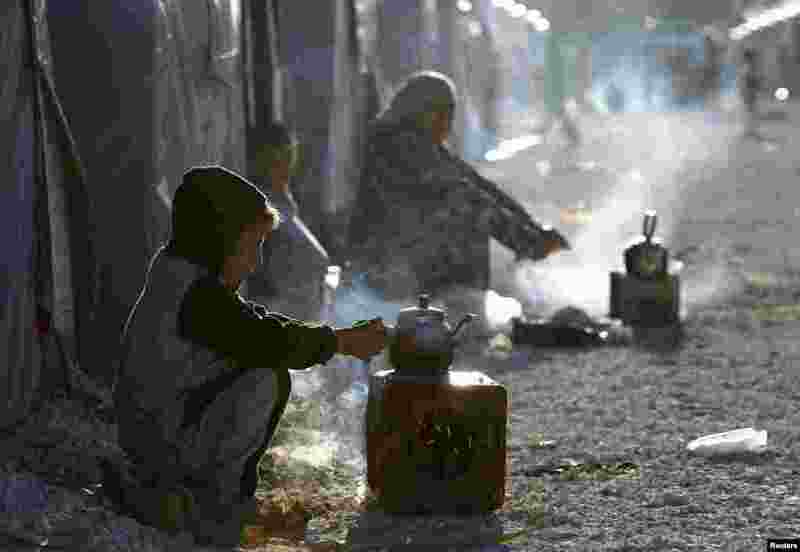 3 Kurdish refugees from the Syrian town of Kobani prepare tea in a camp in the southeastern town of Suruc, Sanliurfa province. 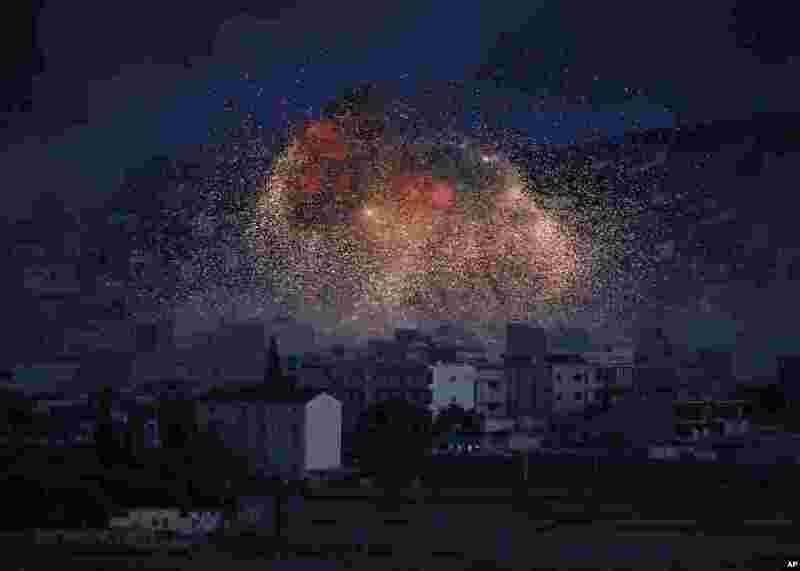 4 Thick smoke and flames from an airstrike by the U.S.-led coalition rise in Kobani, Syria, as seen from a hilltop on the outskirts of Suruc, at the Turkey-Syria border.